The Joint Parliamentary Committee has found not a "single file or record" to show any culpability of Prime Minister Manmohan Singh and Finance Minister P Chidambaram in the 2G spectrum allocation, its chairman P C Chacko said justifying the clean chit to them in the draft report. He also maintained that Singh and Chidambaram were not called before the committee despite BJP's strong demands because majority of the 30 members were not in favour of such a move. Chacko responded to the attack on him for not calling former Telecom Minister A Raja, who has been held responsible for the controversial 2G allocation of 2008, insisting that he was given a chance to present his case by making a representation. "... We have not come across a single file or record or evidence to see that any culpability or any responsibility in the decision making for the finance minister or the prime minister," Chacko said. 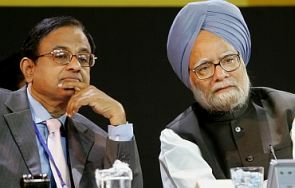 He was responding when asked to comment on the Opposition attack on him for giving a clean chit to the prime minister and the finance minister in the draft report even though Raja has said that he had kept Singh and Chidambaram in the loop on all decisions related to the 2G allocation. The Opposition members of the Committee have alleged that Chacko was "partisan" and had prepared the report in such a manner as to protect Singh and Chidambaram. "Witnesses depose and say many things, we verify with the files. That is how we come to the conclusion...I do not think we have done anything wrong or impropriety," Chacko said, while clearly referring to Raja's claim about keeping Singh and Chidambaram in the loop. Raja, who has been accused in the JPC draft report of misleading the prime minister, has told the committee that he took "every major decision", including entry fee and non auction of spectrum, after consulting Singh, Chidambaram and the then External Affairs Minister Pranab Mukherjee. With regard to the controversy over not calling Singh, Chidambaram and Raja, Chacko agreed that a section of the Committee has "always" been demanding that they be called. "It is true, time and again it was repeatedly stated and written and letters sent to me by Yashwant Sinha, Ravi Shankar Prasad (both BJP), by Gurudas Dasgupta (CPI). That does not mean calling them was the majority view," he said. He said half-a-dozen members of the Committee were insisting on calling them as witnesses. JPC has 30 members, "out of which only five or six people only were saying...I never took a personal decision. Every decision was based on majority view of the Committee or consensus," Chacko said. With regard to Raja, the JPC chairman said he "did appear before the committee. If anybody says Raja's view did not come before the committee, it is absolutely wrong. "I personally discussed with Raja and convinced him to send his views in writing. Before a Parliamentary Committee, two types of appearances are there: personal and through representation. Both are taken equally. In our conclusions, we went through his submissions also. Raja's demand is fully satisfied," he contended. Chacko also did not agree with the contention that Raja should have been given a chance to appear personally as he was the "main accused". He said Raja was the "main accused" in a case before the court but not the JPC as its terms of reference were confined to the telecom policy between 1998 and 2009, its implementation and aberrations. Have corruption charges finally reached the PM?